If we compare the conversations on this forum today to those from maybe two years ago, it's amazing to see how much we've grown professionally as a community. attribute-driven entries and exits, to name a few..
5) Understanding (by seeing for themselves) how divergence evolves with AuM, motivating the need to protect IP and why Darwinex does what it does to protect it. One of the most impressive things I've seen is the growth in the number of traders/investors who by simply looking at a DARWIN's returns, can tread with caution and not get sucked into equity curve smoothness syndrome that plagues a world of traders much larger than our community here. This is a huge development, and sets this community apart from the masses in ways infinitely more than one. I think it's important that we take it upon ourselves to be humble not just during the bad times, but also during good times..
..no wait, especially during good times. Euphoria is an interesting beast..
For instance, it has the ability to turn soft-spoken enthusiasts into loud know-it-alls, a tendency I find is extremely positively correlated with the evolution of their returns.. Experience (both good and bad) is a double-edged sword..
We can do great things with it having the benefit of hindsight as far as major avoidable mistakes are concerned. But it also has the tendency to make us stubborn..
Coming up with ideas that require extensive proof-of-concept to be accepted, but discussing them in a manner that belittles the attempts of any critics to provide a perspective the author may have missed, technical or philosophical. You've got far better chances of demonstrating authority over your subject (this could be anything) and credibility in your trading abilities, if you attach a track record to it instead of using the Description space on your profile to push a few double-digit years of experience. Use it instead to shed light on your background, give people a more real view of your existence and how trading is a part of it. This applies especially so if you have gone from being a regular person like anyone else, to a very successful DARWIN provider most likely considering it a full-time pursuit. The fruits of your labour shine through so much more with humility leading your pitch than anything else ever will. If you have a trading idea that is 2 months old (in DARWIN months), bring it upon yourself to exercise restraint and patiently build your track record.. preferably before informing others of the awesomeness of your idea and why it would be a mistake to not invest in it. Don't just post regularly during your highs, do it just as often during your lows. Learn from the incredible examples set by traders like @VolcanoFX and @CavaliereVerde who have consistently proven the importance and effectiveness of this approach in their tenure here. Learn humility from masters like @KlondikeFX who has the longest successful track record in Darwinex history and yet one of the most humble attitudes to both trading and others in this community he is a part of since the beginning. Always be humble.. never assume you know more or better than anyone else, regardless of the length of your track record or your cumulative experience in trading or anything else. Your strategy - if successful - has modeled an inefficiency to some extent that permits you to extract some profit from the market. The bigger you grow in terms of risk capital and/or AuM, and of course due to external factors beyond your control, this inefficiency will at some point attempt to become efficient. When such a time comes, it is your humility that will have helped you avoid becoming stubborn to realities other than your own, to make more friends to advise you along the way, and to guide you in your attempts to recover from the market becoming efficient in thwarting your quest for alpha. It's also equally likely that humility will have helped you get quality feedback from quality people over time, helping you engineer solutions to slow down and adapt to, if not thwart the market's attempts at becoming efficient against your target inefficiency. Be humble, be grateful for what you've achieved so far and for being a part of this amazing community of people first, traders second. Humility makes friends -> friends become assets -> assets strengthen resolve -> resolve gets results. And this is what I mean (see below)..
Time and time again, I’ve seen people of amazing expertise and accomplishment demonstrate that humility and honestly addressing facts both good and bad, is what defines their character (and very likely their accomplishments). This is from Francois Chollet, author of Keras. @integracore2 this is such an important topic for anyone serious about trading and I can’t believe how few replies you have! Despite the lack of discussion I fully agree this to be the most important attributes for a trader who wants to be consistent and successful over the long run. Why? Because extreme arrogance and a deluded sense of thinking we know better than the market blinds a trader to reality. The thing is, reality is a jealous b*tch who hates to be ignored. Ignore her for long and she will plot her revenge to take you and your ego down big time. “Because I’m so clever I can never be wrong, of course the market will conform to my genius eventually once it realises it’s wrong. In fact I’m going to make a killing because I’m the only one that’s clever enough to see what’s really going on. All these idiots selling when they should be buying. Seems like only I know what the market should be doing. And I’m always right. In fact I’m going to add to my longs and cancel my stops because I’m such a genius I can’t be wrong. This bear market will soon adjust to my prediction. It’s no coincidence that I’m currently reading about some of the largest market crashes of recent history. Guess what, ego and arrogance is prevalent in all. 2000-2002: dot-com bubble.What genius coined the phrase “Growth over profits”? What geniuses accepted P/E ratios of 200 as attractive? 1998: Long Term Capital Management. Founded by three geniuses who designed an alternative reality based on massively complicated maths only they could understand. 1997 Asian crisis - Neiderhoffer funds lose $100M in a single day due to the traders stubborn belief that prices would imminently mean revert because that’s what he believed would happen. 1995 Barings Bank. Nick Leeson goes long in a big way on the Nikkei index. It turned bearish and Nicks stops should have been triggered... but his ego didn’t allow him to and the rest is history, along with over $2B of the banks capital. So when I say humility as a trader is important I think it can’t be overstated. Ego will avert our attention from what the market is actually doing as opppsed to what we think it should be doing. And remember, reality is a jealous b*tch who doesn’t take kindly to being ignored and likes to serve revenge cold. About humility I do not fear anyone. Had to share this excellent thread regarding this topic over on forex factory. 60 Minute Man is an excellent example of having control over your own ego, his trading style is not for everyone but for me is a true inspiration and example to learn from in terms of being self disciplined and sticking to a strategy. I appreciated your post. A good reminder, cause when success comes, it can be tougher to stay humble, but we need humility even more so during those successfully times. Interviewer: What’s the secret to your success? How do you deal with so much praise, standing ovations and love from your fans? 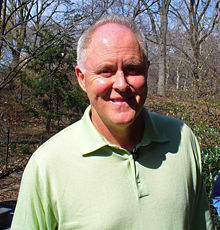 John Lithgow: Humility.. cultivate humility is what I always say... because in life, you’ll never know when you really need it.